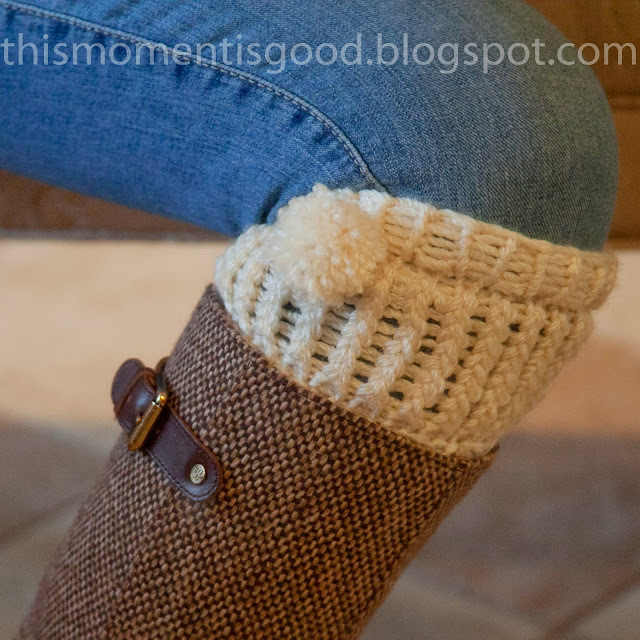 LOOM KNIT BOOT CUFF | Loom Knitting by This Moment is Good! These boot cuffs go with everything so they're easy to wear. Shown with an extra small pom pom but would look beautiful with a button or ribbon. 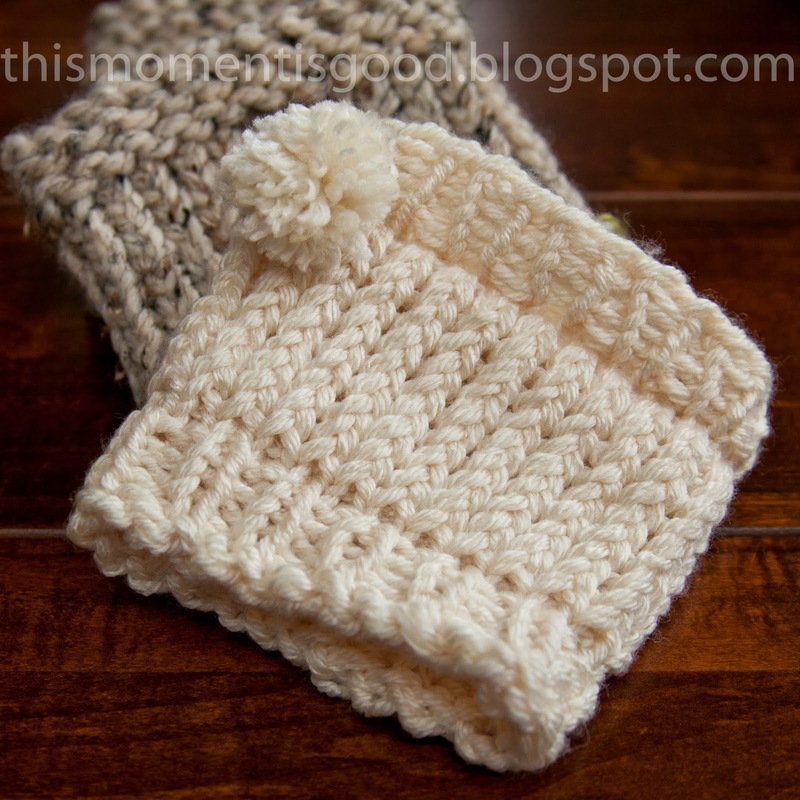 I think I'll make these for all the women on my Christmas list this year! With (2) strands off white yarn chain cast on all pegs; join to work in the round.